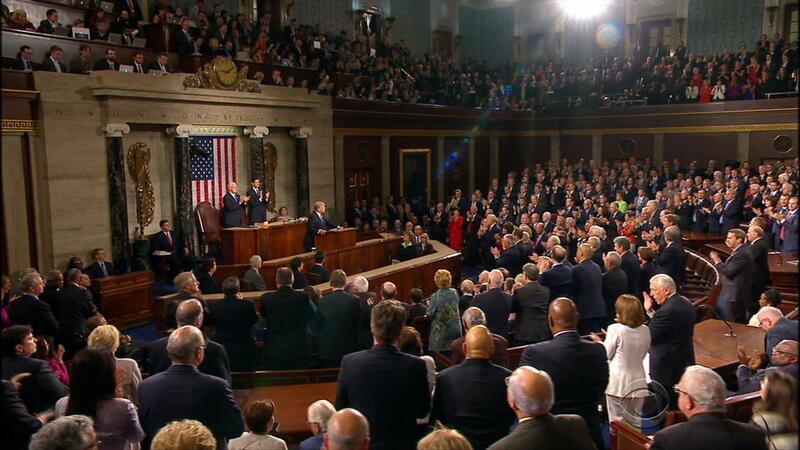 "A State of the Union is like a moon launch," David Frum, a writer for the Atlantic who helped craft speeches for President George W. Bush, tells CBS News. "You pull together pieces from all over the government and bolt them together into what is often a kind of formless monster." Despite his Republican bona fides, Frum is perhaps best known today as a fearsome critic of President Trump. Meanwhile, Mr. Trump will be giving his own State of the Union – the first of his presidency – on Tuesday night. Frum says the State of the Union has a few purposes: "It's to put things on the national agenda. And it's to remind people – if there are accomplishments – to pat oneself on the back. And then to assert command over Congress, because Congress always has things it wants to do, and this is the chance for a president to introduce the president's priorities." But Frum also isn't looking to give any advice to Mr. Trump's speechwriters. "I wouldn't cross the street to talk to them…You know, when people ask this question, it's like a child whose father always forgets her birthday. And it's like asking, 'What would you like your father to get you for your birthday this year?' We're just setting everybody up for heartache, because he's going to forget your birthday again."